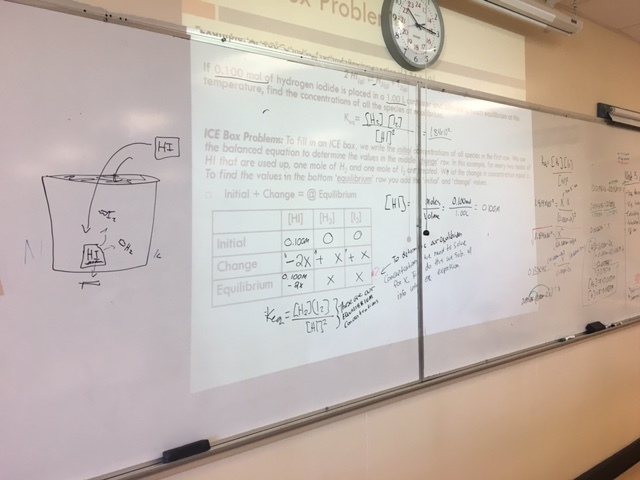 Today we practiced some equilibrium problems where you will need to use an ICE table or ICE box to solve. ICE stands for Initial, Change Equilibrium. 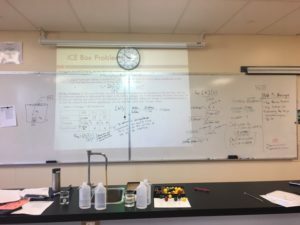 You will know a table requires an ICE box if the question refers to initial or original concentrations and then it reaches equilibrium. There are two types of problems that involve ICE boxes. 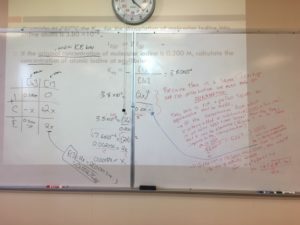 You will either be given initial concentration AND Keq and be asked to solve for the equilibrium concentrations, OR you will be given the initial concentrations and one (or more) equilibrium concentration and be asked to solve for Keq. 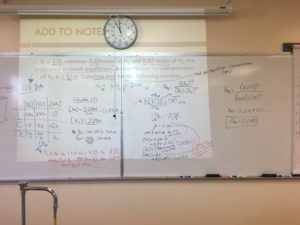 With the first type of problem you will sometimes need to make an approximation, and sometimes need to use the quadratic formula (though in this class you just need to know WHEN you would use the quadratic formula, you will not actually need to use it. A good video that shows how to solve an ICE box problem given intial concentrations and the Keq can be found here (start at 13 minutes). Kc is the same as Keq (but they use Kc in the video). 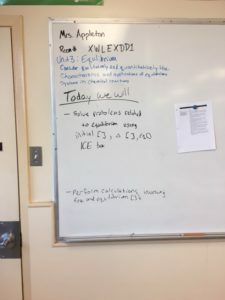 Kc simple refers to the equilibrium constant using concentrations, which is what Keq is. You can watch an example of when an approximation has been made here: https://youtu.be/owA2rUggKoA?t=4m18s (start 4 minutes in, as the first 4 minutes aren’t necessary if you were in class). 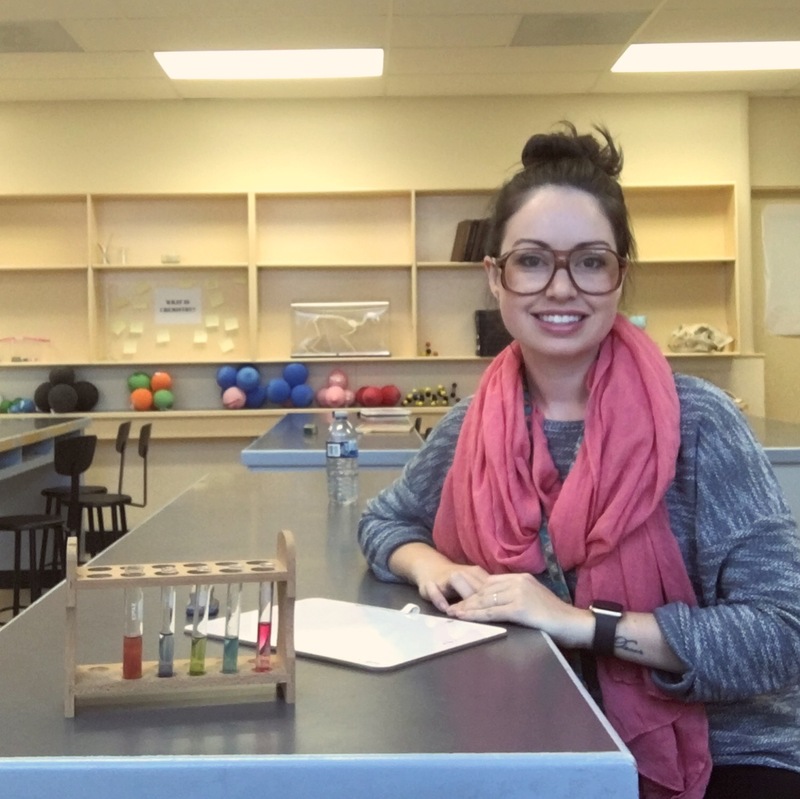 You will sometimes see Kp as well (not in this class, but online or in future chem. courses). This is the equilibrium constants found using partial pressures.